Hello Bay Area Industrial Designers! April’s happy hour will take place at Golden Gate Tap Room in San Francisco’s Union Square, easily accessible from the Powell St. and Montgomery St. BART stops. 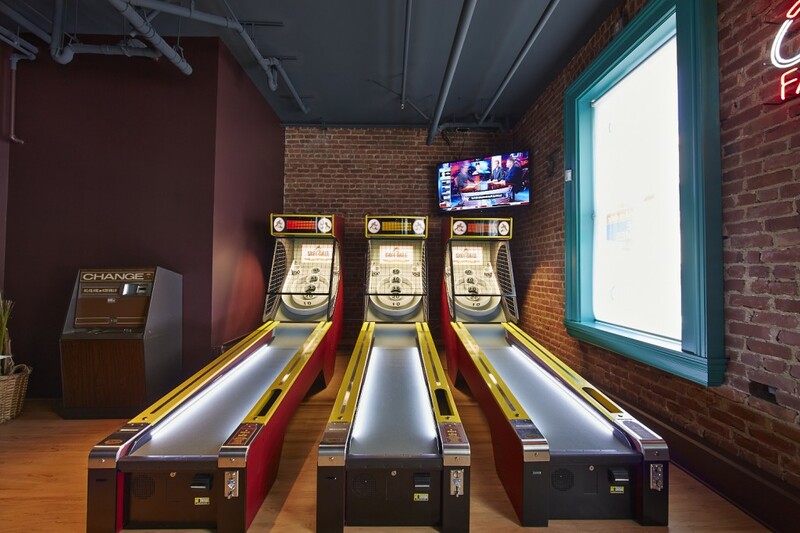 Golden Gate Tap Room has pub food, a full bar, over 100 beers on tap, and loads of bar games – shuffleboard, Skee-Ball, Foosball, arcade games, and pool tables. Because the space is so large, we will update our social media pages and the Meetup event with our exact location when we arrive on the evening of the happy hour. The happy hour event will be on Thursday, April 13th, from 6:30-8:30 PM. If this will be your first time joining us, look for the big blue IDSF ‘lollipop’ on a table.